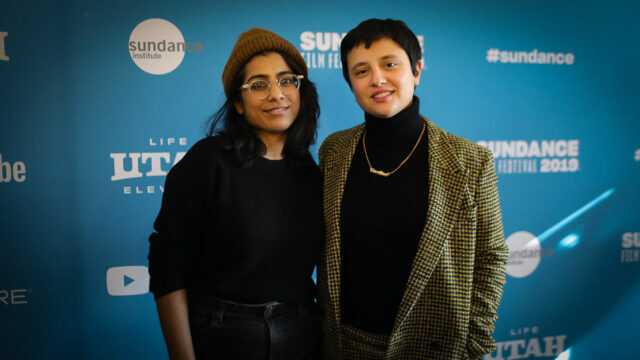 Hala premiered in the U.S Dramatic category at Sundance, joining the long list of films in the Sundance coming-of-age canon. 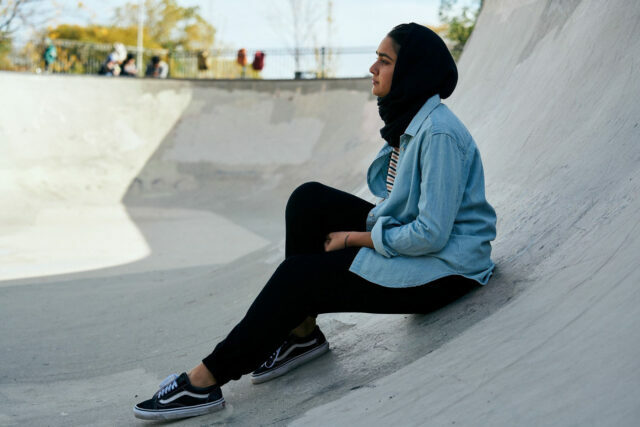 This spectacular drama directed by Minhal Baig follows the inward and outward journeys of a Muslim teen in America, a narrative beautifully specific that will ring familiar, yet enlighten its audiences all at the same time. This film does what so many of us aim to do. This impeccably lensed narrative captures underrepresented truth and presents it to the world in an opportunity to commiserate with its protagonist, and optimally expand our empathy. We chatted with cinematographer Carolina Costa to uncover what was involved in her process for Hala. Geraldine Viswanathan appears in Hala, directed by Minhal Baig. DP Philosophy: I think it’s primarily about your instinct. Then, with time, your instincts are matched with experience. That is how I will try and choose the projects, make choices, and run my departments: I stick with my gut. That being said, I like to always start fresh in each project, not to come with vices and decisions made on previous ones. I like to merge myself into each story I am helping a director tell, though I am sure it is always filtrated by my own life experiences…which comes to my one and only philosophy. Read and portray your characters with empathy. I try to always understand why these people have made these choices and why today. cinema5D: Does that extend to how you run the camera department? CC: I like to keep everyone involved on what we are creating. I share all my visual references and my creative process with every single (crew member). With folks I have worked with before, I like to ask their opinions. That can happen anytime, out of the blue. “What do you think of this?” (I ask) as I stare at the monitor. When I was a camera assistant, I was lucky to work for DPs that would always teach me, inspire me, and make me think– keep me interested. I trust these folks, they are like family to me. Otherwise, the job can be tedious. cinema5D: What camera body did you run on? CC: We shot with a Panavised Alexa Mini. It was mostly a single camera show, but we did have about a week with two cameras. I have shot all my features on the Alexa family, and recently quite a bit with the Mini. I like to think that this format is my constant film stock. I know the limits, and where I can push, and skin tones feel well recreated. The size became important too, as we were shooting in real locations all the time. cinema5D: What drew you to the Cooke S4s? CC: It was important to my director, Minhal Baig (and me) that the audience felt engaged and connected with this family. The warmth and the nice fall off of the Cooke S4s felt like the right tool to portray these characters with empathy and make them relatable. We shot mostly with 18mm and 25mm focal lengths. The wider end was a way to always be close to Hala and keep her perspective of the world, which was getting wider and wider as the movie progressed. We also wanted to show the environment around her, which was so important for Minhal – Chicago was treated as another character. cinema5D: Did you and the director watch films together? How did you begin prepping the look of Hala? CC: Our prep started in LA, though most of it was in Chicago. At first Minhal shared her list of movies, and we watched them. Then, (I shared my list.) Our main references were the films by Asghar Farhadi and Claire Denis. We also had a few sessions with Sue Tebbutt, our production designer, in which we broke down the script psychologically, tracking every little change on Hala’s character. Sue and I had previously collaborated on another feature, so we have our shorthand, especially when it comes to colors and defining the character of each location. The colors came instinctively, and we all collaborated on that. The locations were then influencing these choices, and we were also changing the look of them, especially the color palette. Sue is great with that. DP Carolina Costa with director Minhal Baig attends the World Premiere of Hala by Minhal Baig. 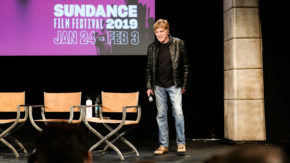 © 2019 Sundance Institute | photo byDan Campbell. cinema5D: What did you discover during lens and camera tests? CC: During the lens testing, Minhal and I decided on focal lengths. The wider end felt right when we were close to the character. During the camera tests, we found that some of the color choices we made were not right, so it was important to put the main actors in front of the camera and see all the choices we had previously made, especially for costumes and the color on the walls. cinema5D: How about shot lists? CC: Our shot list was very thorough. Minhal and I would have coffee in Chicago every morning for 4 to 5 hours, for 6-7 days. We had discipline. That was essential for our tight schedule of 18 days. That’s when I realized how personal this movie was to Minhal, and I think that made the process more interesting. She always made me think from inside the story and not the other way around it. cinema5D: Any glass filtration in your kit for this one? CC: I tend to always have 1/4 and 1/2 Hollywood black magic in the kit, but it really depends on the story we are telling. For HALA we always used 1/4 HBM. Carolina Costa and director Minhal Baig on the set of Hala. Image Courtesy of the Sundance Institute. cinema5D: Were there any unique challenges for Hala? CC: Something interesting about the lighting design for HALA is that we had to decide on what was our true North, that couldn’t be cheated or changed during the film. Traditionally in Muslim culture, if you are praying in the US you have to face Northeast. In addition to the characters, everyone in my team had to know where we were in relationship to Mecca. The direction of where the sun entered this house was hugely important philosophically and aesthetically in the film. Born in Brazil, Carolina Costa made a huge move to London to study at the University of the Arts at the beginning of her education. There she was brought into the fold and mentored by Sue Gibson, president of the BSC. 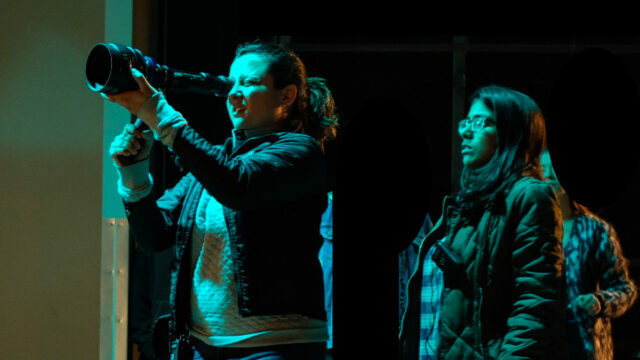 After years of ACing and operating on British productions, Carolina moved to the United States and earned a Masters of Fine Arts degree in Cinematography from AFI. She has won numerous awards for cinematography, and her first feature The Chose Ones premiered at Cannes. She was the Second Unit DP on Suspiria, as well as a first unit operator. She was the cinematographer for TIFF darling Icebox, a drama about a boy trapped in the U.S. immigration system, you can now watch on HBO. On the horizon is Tara Miele’s feature film Wander Darkly, starring Diego Luna and Sienna Miller, Carolina’s next project as cinematographer. *HALA was acquired by Apple, so you should be able to see it very soon!